Unlike most food events, ArktiskMat is arranged by a school. Our culinary and agricultural students are very important as both participants and executors of the arrangement. This is the third year that Mosjøen Videregående Skole ( Mosjøen upper secondary school) have been in charge of ArktiskMat. Through the weekend, the students have the role of hosts, assistants to guest chefs and speakers, and cooking together with other experienced chefs. At ArktiskMat, our students and young chefs have a fantastic opportunity to learn by both doing and listening as well as engaging in discussions with leading food experts. 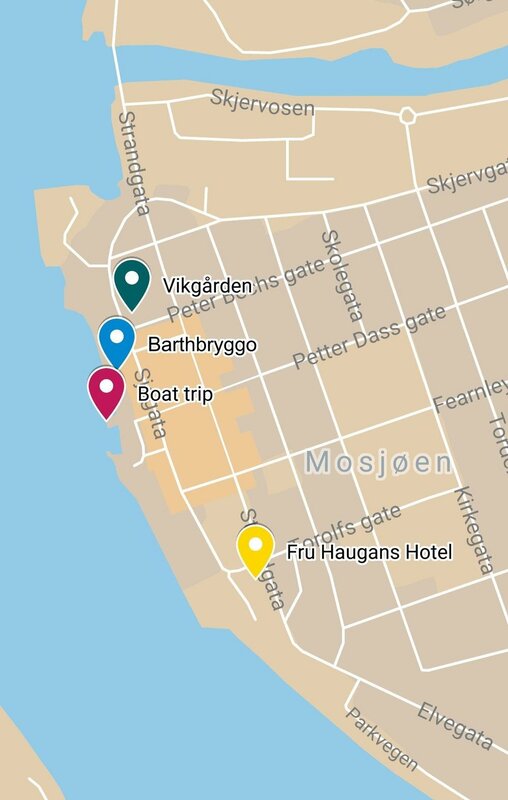 The festival starts thursday at 12.00 outside of Vikgården where students from Mosjøen Videregående Skole (Mosjøen upper secondary school) have invited pupils from Mosjøen Public school to make their own salmon burgers. The event is hosted by Mosjøen Videregående Skole in cooperation with Sparebank1 Nord-Norge. Friday mornning he students will start the day with participating and contributing in a unique shellfish course with Roderick Sloan, Henry DeBey, Pierre Koffmann and Paul Cunningham at Mosjøen Videregående Skole (avd Kippermmoen). From 1600 to 1800 the students present their innovative dishes to the judges in the Arctic Food competition where both Pierre Koffmann and Paul Cunningham will be in the jury. The students will also have a lecture with Nathan Outlaw between 13.00 and 15.00 on sunday at Mosjøen Videregående Skole (avd Kippermmoen). 18.00 Presentation of the winners! PS! The events at the school is exclusive to the students. Saturday from 1100 to 1400 Arktisk Mat will have a food court just outside of Vikgården where regional producers will present their products. This event is free and open for everyone. The event is aranged by Mosjøen Videregående Skole in cooperation with Rema 1000. PS! All tickets sold are registered with us, so there is no need to bring a confirmation. Mosjøen is close to the Arctic Circle, so the weather can change from cold and rainy to warm and sunny. A wind proof jacket and a warm sweater will take you a long way. Minor changes can be made prior to the event. All changes will be published on this page.